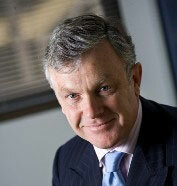 The Hon Ian Campbell was appointed Chairman of North West Infrastructure in October 2009. Prior to taking up the appointment he held senior ministerial positions within the Howard Government. 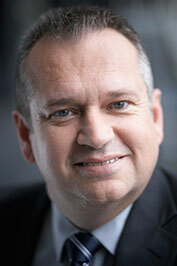 Mr Campbell has extensive experience in the development of major resource projects and related infrastructure. 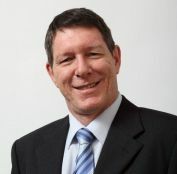 As a Minister in the Federal Department of Transport, he was responsible for the multi-billion-dollar AusLink Infrastructure Fund and as the Federal Environment Minister, led the approvals process for Fortescue Metals Group's Cloud Break iron ore project, the expansion of the Burrup LNG plant and the first stage of the Gorgon LNG project. His other political posts have included Minister for Human Services, a member of Cabinet's Expenditure Review Committee, Parliamentary Secretary to the Treasurer, and Manager of Government Business in the Senate. Mr Campbell is Chairman of ASG Group Ltd, an executive Director of Investment Bank Brookfield Financial, and Chairman of the Princess Margaret Hospital Foundation. Mr Sinclair was appointed as a Non-Executive Director in October 2015 and he is the Chief Operating Officer for Atlas Iron Limited. Mr Sinclair joined Atlas in November 2007 with key management experience and expertise in mine planning, production systems and operational execution. Mr Sinclair is a Mining Engineer with over 20 years of experience in surface mining operations. Prior to commencing with Atlas, Mr Sinclair held key management roles within Rio Tinto Iron Ore in their Pilbara operations. In addition, Mr Sinclair has spent time consulting to the mining industry and also working in other operational roles in large scale operations mining nickel, iron ore and gold. Mr Hancock was appointed as a Non-Executive Director in October 2014 and he is the Chief Financial Officer for Atlas Iron Limited. 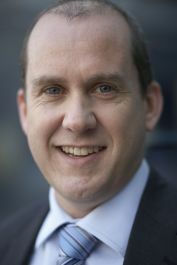 Mr Hancock joined Atlas in 2006 and has been pivotal to Atlas' highly successful record of mergers, acquisitions and asset disposals. He is also on the front line of Atlas' iron ore sales activity, which has enabled Atlas to consistently maximise its revenue and profit margins. Mr Hancock is a Chartered Accountant with over 30 years’ experience. He commenced his career in public practice and subsequently held senior financial management roles across a variety of industries in Australia and South East Asia with companies including Woodside Petroleum, Premier Oil and Lend Lease. Mr Paterson was appointed as a Non-Executive Director in October 2015 and he is the Chief Executive Officer of Australian Operations for Brockman Mining Limited. Mr Paterson has over 30 years' experience in the resources sector covering a diverse range of geological environments throughout Australia, but principally in Pilbara iron ore as well as gold and nickel exploration in the Archaean of Western Australia. He has extensive experience in the technical supervision of exploration projects; resource development, project generation and project evaluations. He was principal geologist with Asarco Australia Ltd and held a similar position with Mining Project Investors Pty Ltd (subsequently MPI Mines Limited). Following which he was the founding director of Brockman Mining Australia Pty Ltd.